Want to swap out the white LED button lights in your REBEL spinner for one with 10 brilliant colors? No problem! *This is for one LED chip with batteries ONLY. Housings are not included. Compatible with REBEL spinner's existing housings. These chips are sold individually. You asked for RGB… how about RGBGOYLAVPW? Our custom REVOLT chip features high-intensity RGB LEDs and an 8-pin flash microcontroller with nanoWatt XLP technology (PIC12F1840). Color options include Red, Blue, Green, Orange, Yellow, Lime Green, Turquoise, Violet, Hot Pink, and White. 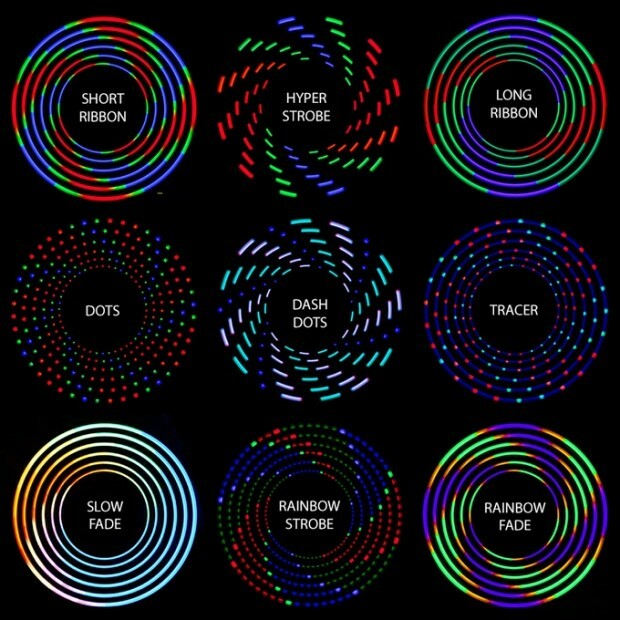 We’ve combined these colors into 10 intergalactic display modes for your spinning enjoyment: Short Ribbon, Hyper Strobe, Long Ribbon, Tracer, Dots, Dash Dots, Slow Fade, Rainbow Strobe, Rainbow Fade, and a Demo mode which cycles through each mode every 10 seconds.